During the II Congress of the Colombian Petroleum Association, which took place in the last week of September, 2016, at the time when the Peace Agreement between the government and the Revolutionary Armed Forces of Colombia (FARC) was signed, Francisco José Lloreda Mera pointed out that “the future of the country is intertwined with that of the [oil] industry” and the contribution made by the sector “is essential to ensure a stable and lasting peace.” In his presentation Hidrocarburos y paz: una ventana de oportunidad (Hydrocarbons and?Peace: a Window of Opportunity) he stressed that the new, post-conflict economy must be “additional and complementary to, and not a replacement for, the oil economy.”2 His argument is based on the fact that the oil sector has been the financial support for the country’s fiscal sustainability. With the oil barrel at a price of up to 100?US dollars —between 2010 and 2014— and with production (extraction) peaks of up to one million barrels a day, the Colombian economy became dependent on mining-energy, particularly oil, revenues. 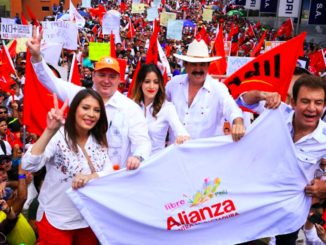 The interests of companies and governments which have bet on the extractivist pax are against the aspirations of wide sectors of the Colombian society who yearn for peace hoping to build a country on new democratic foundations and with greater social and environmental justice. But it is not —and will not be— easy for them. 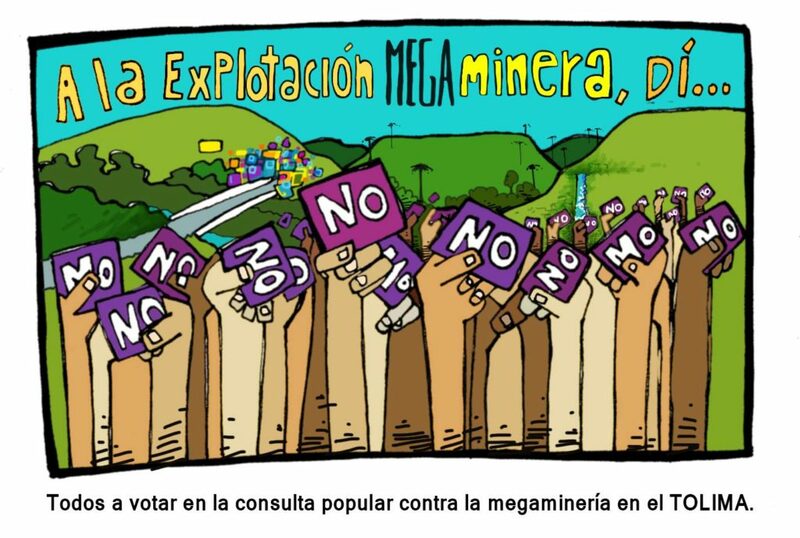 This has been clear since 2015, as many municipalities have promoted and performed popular consultations and/or municipal agreements to stop the progress of extractive projects in their areas. Three of the consultations directly affect oil projects: Tauramena (Casanare), Cabrera (Cundinamarca), and Cumaral (Meta), which has resulted in a broad political and legal debate between communities, courts, environmentalists, businesspeople, and the national government. The truth is that the national government’s extractive project planned for the post-conflict economy is being threatened. The government has?even refused to discuss this project with the insurgent groups, and is currently considering how to stop the rise of participatory democracy. 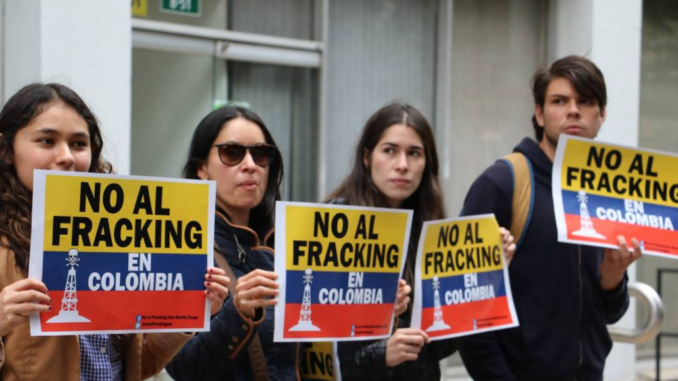 Based on the map prepared by the Environmental Justice Organizations, Liabilities and Trade (EJOLT) project, more than 115 socio-environmental conflicts have been recorded in Colombia, most of them due to extractive projects. 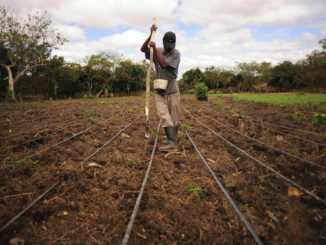 The database of the Center for Research and Popular Education (CINEP) has also warned about the socio-environmental conflicts that are becoming increasingly important, now accounting for 30% of the cases recorded in the?country. This confirms that mobilization for socio-environmental justice has been growing, with important victories achieved. An example of this is that all the popular consultations that have been made have been won9 and the use of citizen participation mechanisms rose over the past year, with more than 40 being processed, in addition to popular initiatives. On the other hand, municipal authorities and councils have made municipal agreements to prohibit extractive projects in the municipalities of Antioquia, Huila, and Caquetá. This article was originally published at?Observatorio Petrolero Sur. Translated and published with permission. Svampa, M 2017, “Prólogo,” in Roa Avenda?o, T et al (Coord.) 2017, Como el agua y el aceite, Conflictos socioambientales por la extracción petrolera, Censat Agua Viva, Bogotá. Roa Avenda?o, T et al (Coord.) 2017, Como el agua y el aceite, Conflictos socioambientales por la extracción petrolera, Censat Agua Viva, Bogotá. 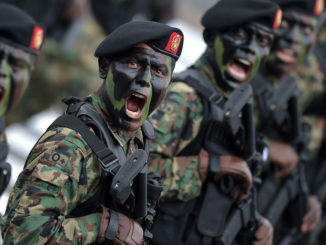 Author’s note: In order to enter into or put into practice the peace agreement signed by the Colombian government and the FARC, a number of laws and constitutional reforms are required. Therefore, through a legislative act (No. 1 of 2016), the “fast track” was established. This is a mechanism which reduces the number of debates in Congress to approve laws and constitutional reforms, and confers extraordinary and exceptional legislative powers to the President. The decree’s term period is 180 days after the Legislative Act effective?date.